8DM Productions is one of the leading curators of EDM samples and they are on the cutting edge of some of the most current and popular sound trends that are topping the electronic music charts. 8DM is created by the Academy, T.E.C & GANG award-winning designers of 8Dio - in collaboration with some of the leading top DJs around the world, giving you access to hit sounds and samples right out of the box. 8DM Progressive House V2 is going to be your weapon of choice for commanding the club. Progressive House is one of the most popular styles on the current EDM market. It is clean, sharp and punchy. The sound is undeniably cool and designed to make your productions sound the best they can be. All the elements are clean and defined for pristine mix. 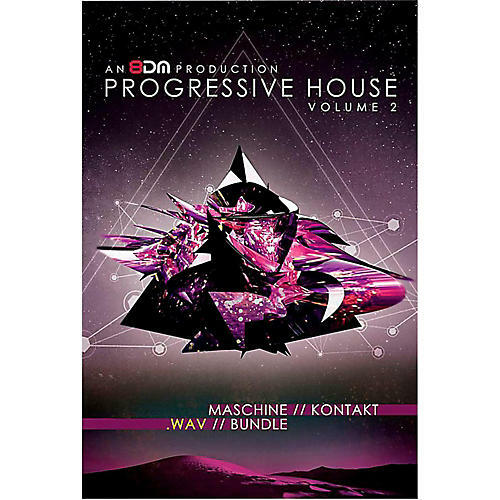 8DM Progressive House V2 Wav-Pack is designed for the DJ/producer that just wants the raw wave files to work with in their favorite production environment. 8DM spent a lot of time meticulously labeling all of the files with full detail, so whether you're searching for sounds specifically by BPM or just need to find the right kick, snare, cymbal, bass synth or lead synth - its all there for immediate access. You're in complete control with the Wav-Pack, and unbound by specific production platforms.